Today I get to review a product that I think perfectly distills the elegance and simplicity that I’ve been craving in skincare (and in life, let’s be honest). 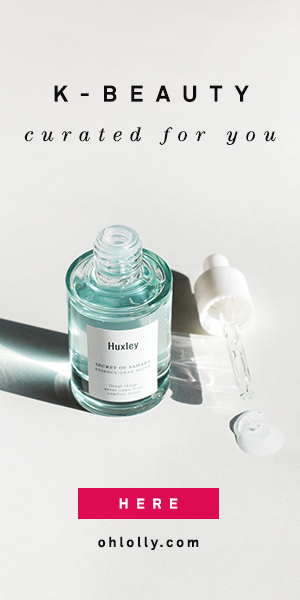 The AMOREPACIFIC Vintage Single Extract Essence is essentially the product of Marie Kondo going to town on your favorite hydrating essence, kicking out all the superfluous ingredients, and distilling it down to the best quality green tea and a few carefully chosen humectants. Just the stuff that brings joy, folks. Amore Pacific generously let me pick out a product to review, and I had no hesitations about which one I wanted to try. The rich tea color and the whole idea of a single source extract essence were calling to me. Plus I have good memories of tea gardens and tea tasting (my husband proposed in a tea garden) and this essence somehow evoked those good feelings. This product was provided free to review. All opinions are my own. There are affiliate links in this post — purchasing through these links may generate a small commission that helps support this blog, without costing you a penny more. If you’re interested in AMOREPACIFIC, you might also like my review of the AMOREPACIFIC Treatment Enzyme Peel. Like a fine vintage of wine, the AMOREPACIFIC Vintage Single Extract Essence comes from just one terroir — the Dolsongi Green Tea Garden on Jeju Island, one of three tea gardens that Amore Pacific owns on the “garden island”. The fresh green tea leaves are carefully chosen and picked by hand. Then, under the supervision of tea masters, they are naturally fermented in “optimal conditions” for 50 days. After the first fermentation, they are placed in earthenware containers buried in the ground, and allowed to ferment for another 50 days. After a total of 100 days of fermentation, the tea is extracted using a slow, 24-hour extraction process. So the AMOREPACIFIC Vintage Single Extract Essence is truly “vintage” in both senses of the word — it is a precious, single-source vintage, the product of a single crop. It’s also “vintage” in the sense that it has been carefully aged. This careful process optimizes the amount of antioxidants and beneficial compounds in the tea extract. Their tea extract is particularly high in catechins, powerful antioxidants that protect and reverse the effects of sun damage, as well as treat wrinkles, dullness, and boost collagen production. Every time I have a mini heart attack at the thought of the $145 price tag, I remember the amount of labor and care, and the amount of time put into this product. I’m the type of person who is willing to pay more for craftsmanship — I truly hope those tea masters and tea pickers are paid well for their efforts! As you can see, the ingredient list is minimal. I’m assuming the tea extract is pretty concentrated since it’s extracted directly from the leaves (not steeped in water as regular tea would be) so I’m ok with it being 4th on the ingredient list. With the lovely deep caramel color that comes solely from the tea, I think it’s a pretty good concentration. Propanediol is an absorption enhancer and hydrator, 1,2-hexanediol is a humectant and functions as a preservative, and ethylhexylglycerin is another more natural preservative and skin conditioner derived from glycerin. All of the ingredients are considered non-sensitizing to people with sensitive skin. The AMOREPACIFIC Vintage Single Extract Essence seems just slightly thicker than water. It’s a very watery essence. You’re supposed to shake a few drops into your palm, massage it over your face, and pat to absorb. I find that it absorbs well, but not super fast (there’s no alcohol to help it absorb, which I’m fine with) so be patient and enjoy it. I do find that because of how watery it is, it’s difficult to apply with my hands. I might consider decanting it into a spray bottle for ease of use. This essence is unscented, which I appreciate. When it comes to antioxidants, patience is key. You’re not going to see dramatic results right away, and a lot of the benefits are actually preventative and protective, so while you might not see your skin change much, the antioxidants should theoretically prevent some of the signs of aging over time. Personally, I found this essence to add a nice hydrating layer. I really like watery essences like this layered under my serums as I feel they really do boost the moisture levels of my skin. I felt like my skin felt moisturized, plump, and dewy when I used this with the rest of my routine. I didn’t really see any other dramatic changes though. Recently, I had an outbreak of perioral dermatitis on my chin, so I’ve been trying to stick with the gentlest, simplest products with short ingredient lists and no sensitizing ingredients. The AMOREPACIFIC Vintage Single Extract Essence fit the bill perfectly and I really appreciated how gentle and hydrating it was. It’s essentially infusing your skin with tea every night. But more luxurious. And with potentially more long-term benefits down the line. At this price point ($145), the AMOREPACIFIC Vintage Single Extract Essence isn’t for everyone. I’d suggest getting a good solid skincare routine down before looking into buying specialty products like this. But there’s definitely something about the AMOREPACIFIC essence that stands out. And among luxury beauty products, I’d much rather spend my money on something like this essence, which has a ton of craftsmanship poured into it, than other expensive products. ENDS TONIGHT: Get 20% off all the sets on this page (including the Vintage Essence) with code TIMELESS20! I also highly suggest purchasing through the brand site (as opposed to Sephora) just because they have amazing GWP offers and deluxe samples. Will be valid till end of April! What kind of product gets you to sit up and pay attention? And open your wallet maybe haha? If you’re interested in AMOREPACIFIC, you might also like my review of the AMOREPACIFIC Treatment Enzyme Peel (it’s a bit more affordable at $60). The cost is prohibitive for a lot of people I do agree, and I’m not sure I could afford to repurchase this. But seriously I know people who spend more than this on something they heard about on TV or in a magazine without any thought into the process of how the product was created haha…so at least when you’re spending this amount of money you know there was some real value in the process of crafting it! I am loving layering skincare products which I started recently! Even though I am hearing about this brand for the first time, I feel my skin will love Amorepacific essence as it does get dehydrated in summers! It’s a simple product, so I wouldn’t expect it to work miracles, but the ability to use it even when my skin is super sensitive outweighs that, IMO! It’s the most simple ingredients, but the best quality. I think you’d like it Jenny!